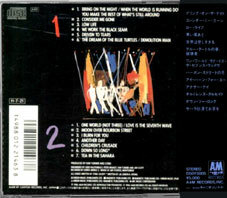 The first japanese issues comes with a stickered black/white/blue OBI. 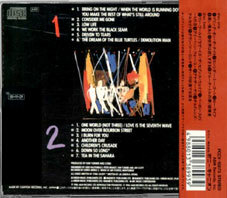 There is 2 different back OBI for the 93 reissue. 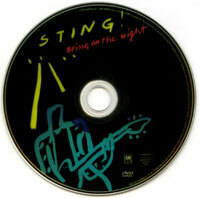 The 2003 reissue comes with the same design as 98. 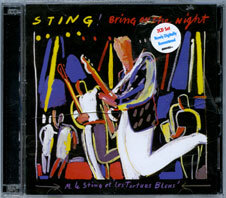 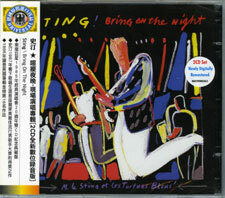 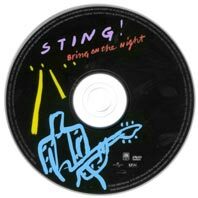 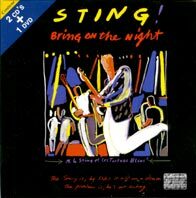 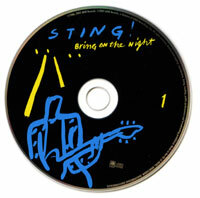 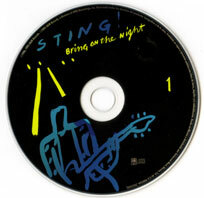 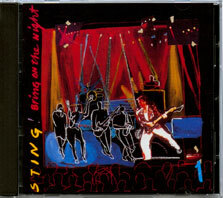 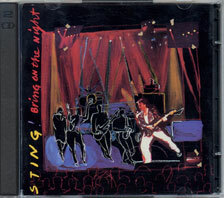 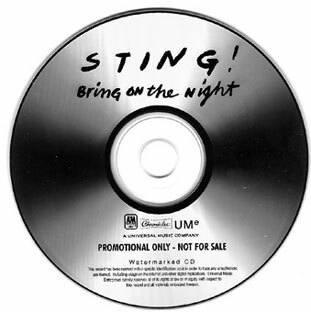 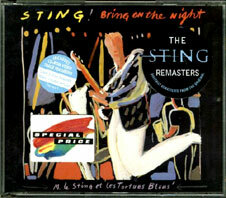 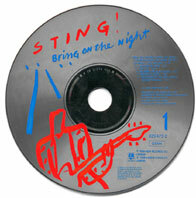 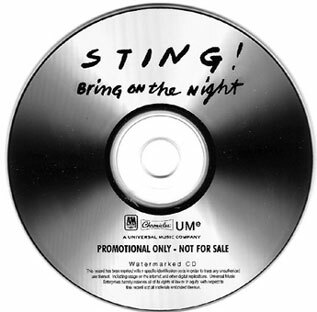 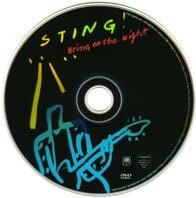 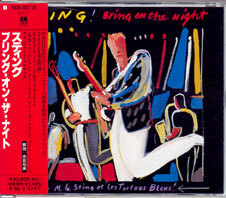 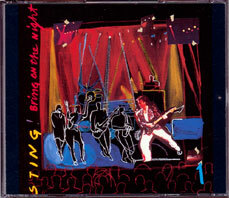 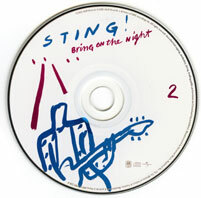 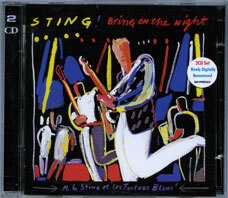 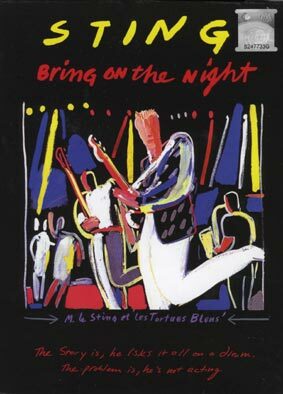 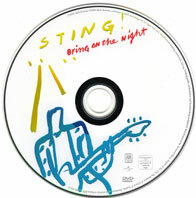 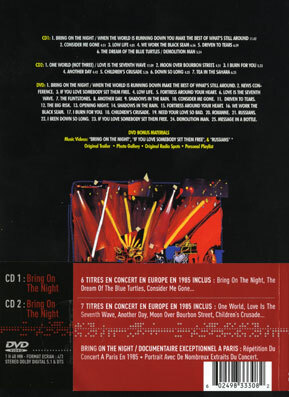 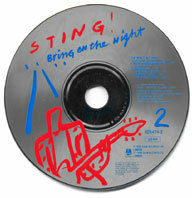 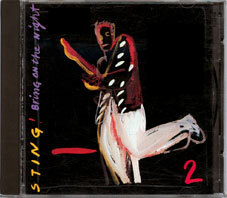 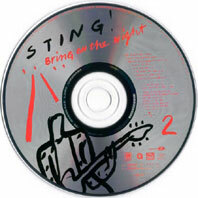 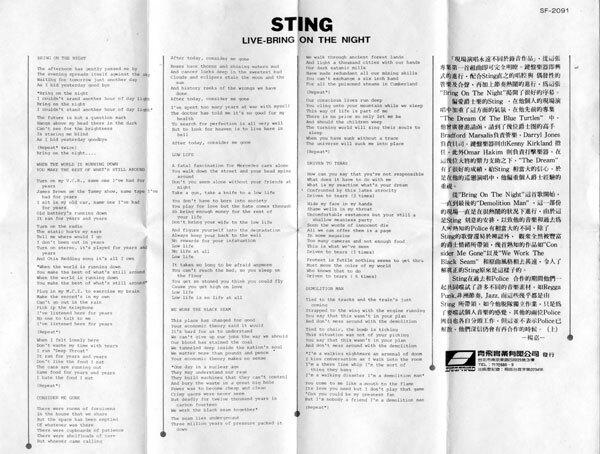 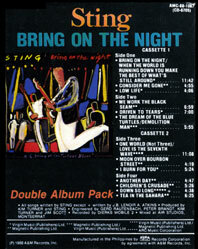 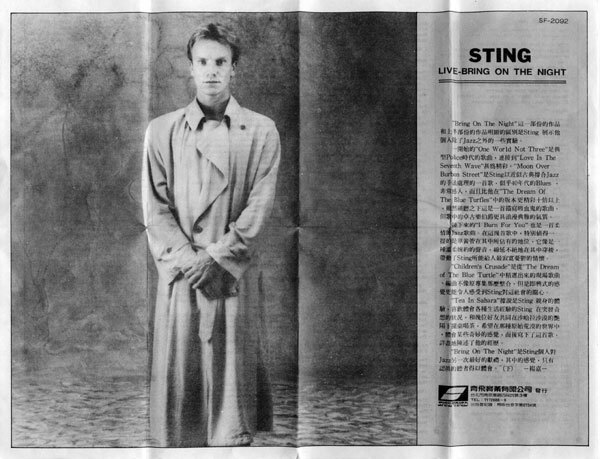 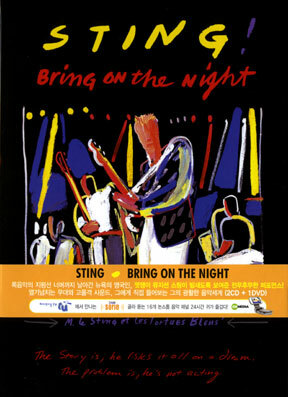 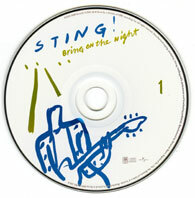 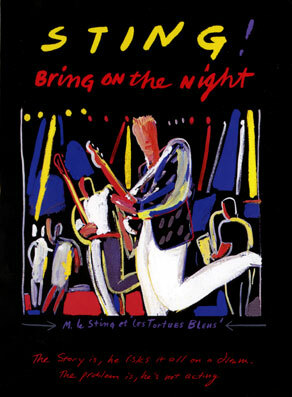 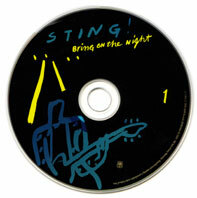 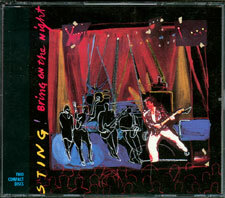 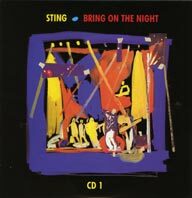 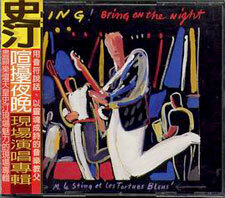 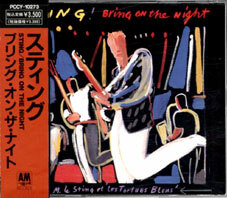 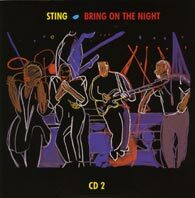 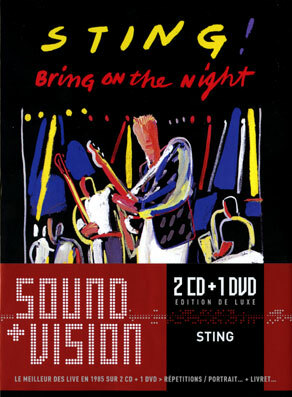 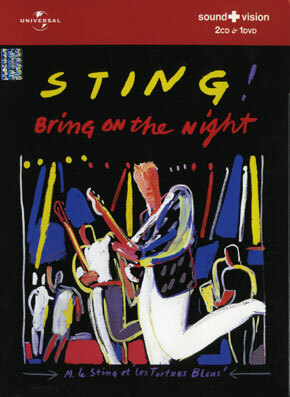 You can found them separatly by now, but as Jorg Zimmermann conclude "I was checking my own collection for a new list lately and I come more and more to the conclusion that the two US CDs of Bring on the Night were not sold separately. 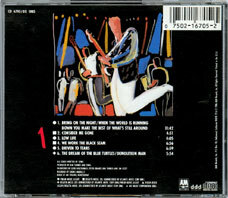 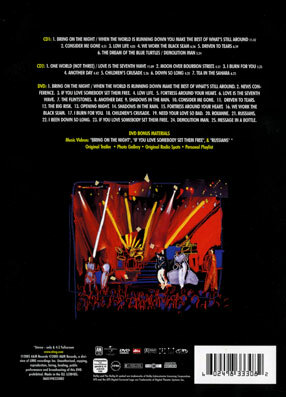 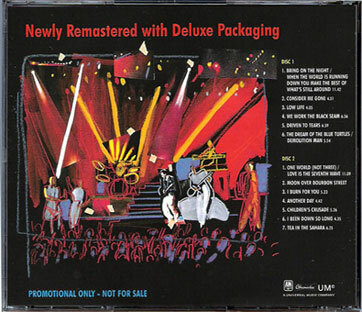 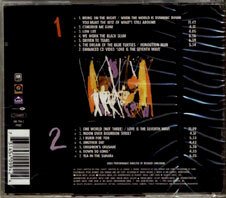 If the two CDs were sold separately they should also have caused separate chart entries which I find hard to believe..."
The BMG reissue comes with special back sleeve. 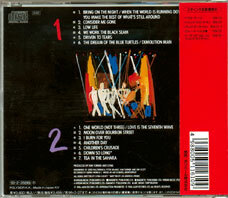 The Mexicao CD have this special black & red design. 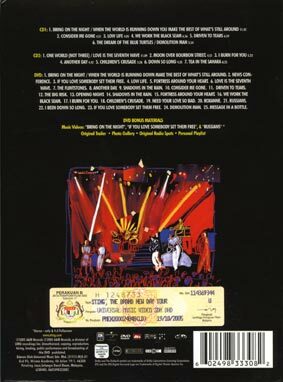 The Venezuela issue comes with a special "Super stars" cover upon the normal bookley. 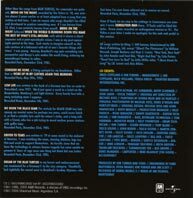 The Korea issue has this special back sleeve. The 2005 reissue is the EU one with OBI. 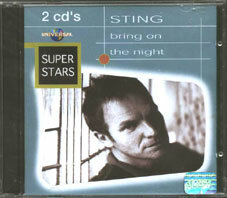 The 2 australian MC are separated, and has this special design. 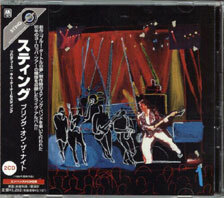 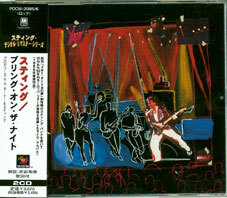 On front, it is stated "Recorded on BASF Chrome tape". 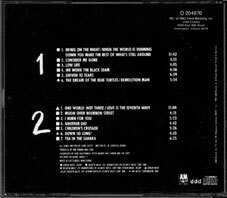 The Argentina MC is a 1 MC issue only, all the tracks are on it! 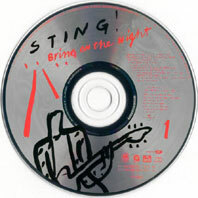 It comes with this specail design. 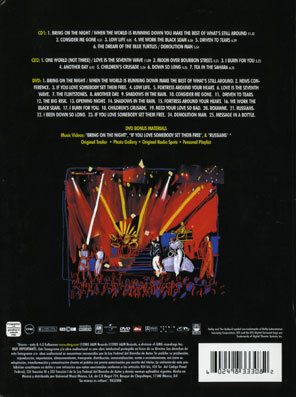 The 2 Mexican MC are separated and have this special design. 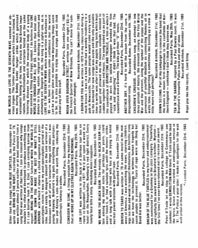 The Phillipine issue has this special design. 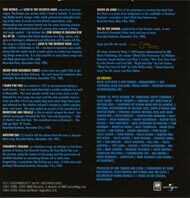 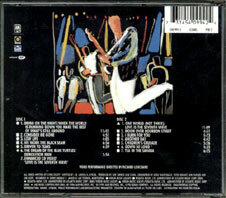 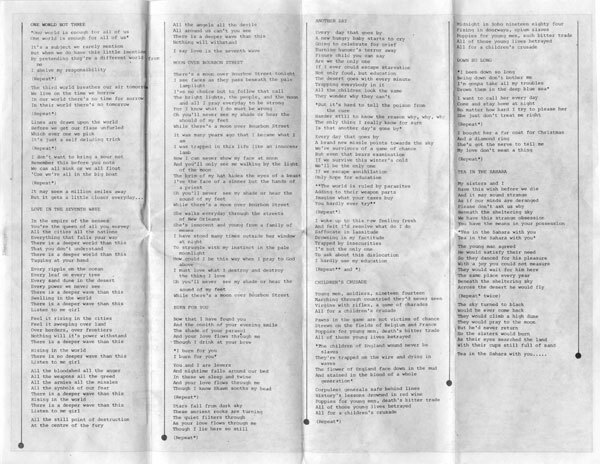 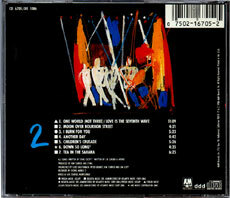 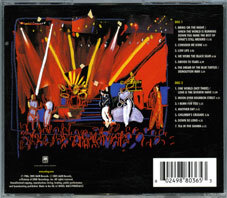 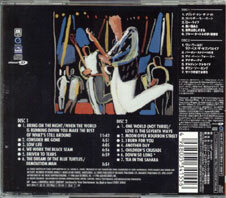 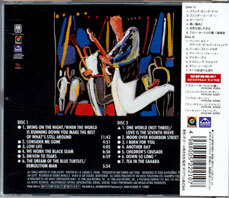 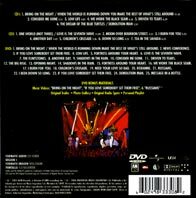 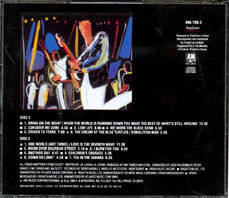 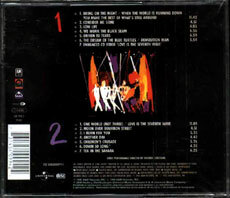 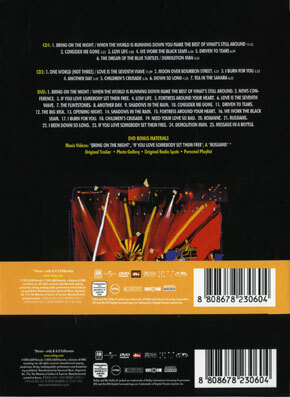 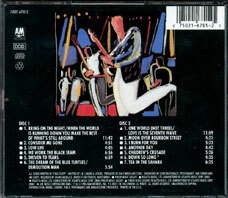 The back are the history of each track. 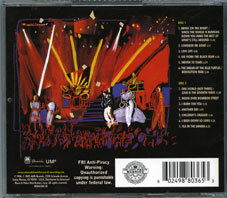 Each MC comes in a blank plastic jewel case and both are inside the cardbord slip case. 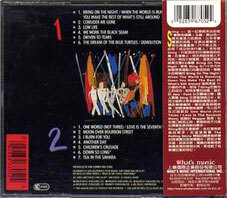 Strangely, the 2 Taiwan MC are not issued by the same label. 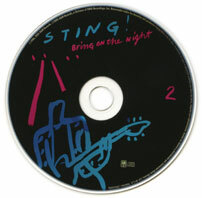 The first one is issue by Sigefried and comes a spciale chinese back inlay that comes upon the case.